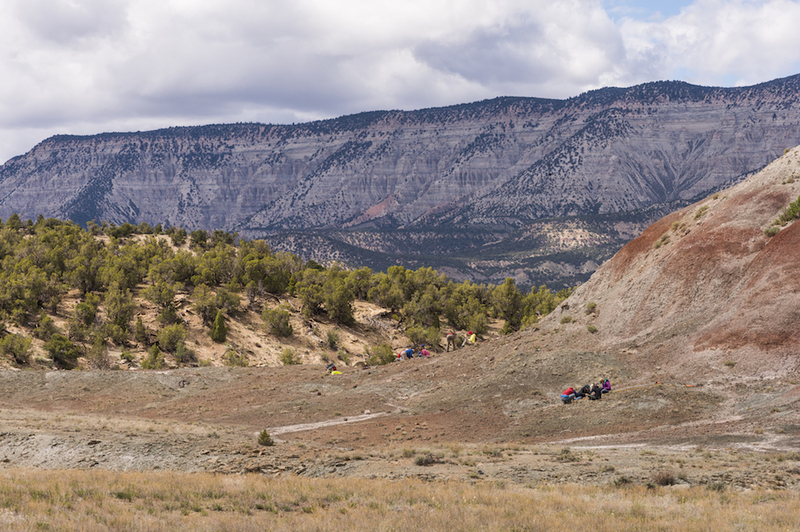 Sweeping western slope views, slightly menacing rain clouds and beautiful, tough plants surrounded us. I listened for my field partner to shout out cactus dimensions and wrote each number into its proper cell on the data sheet while picking prickly pear spines out of my hand (more seasoned Coloradans seem to avoid this indignity). Spine-avoidance wasn’t the only thing I learned when I joined the annual Sclerocactus glaucus monitoring expedition last year, one of several long-term scientific research projects in which Gardens staff and volunteers check in on populations of rare plants. I’m grateful for all I learned about the species, its habitat, and the craft of field botany. Plus, now I know that young cacti are called "pups." Alternately giddy with the thrills of being out in the wild with amazing scientists and naturalists, and uncomfortable from kneeling between plants over long days in all weathers, what kept me going was the fact that we were collecting important information to help manage this rare species. Now, finally, after compiling all the information over the winter, the results are in! 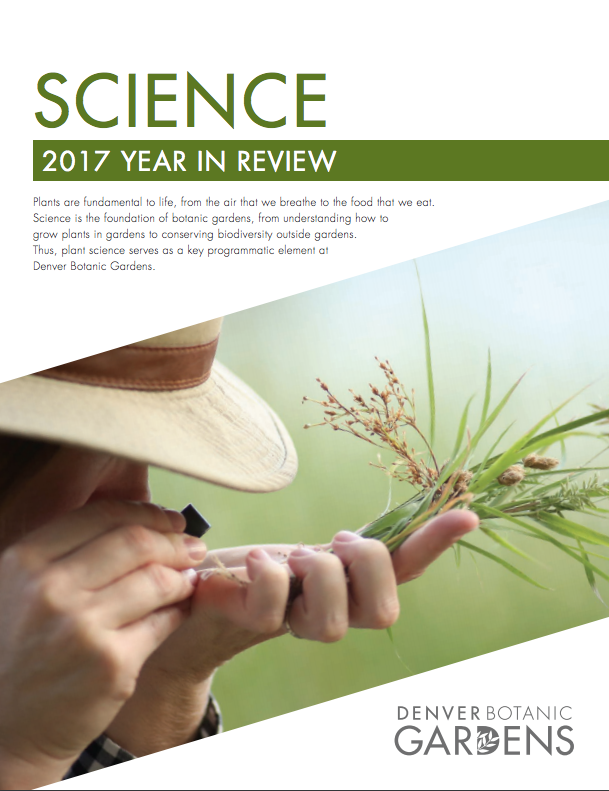 You can see some of our findings and catch up on recent progress across the many, many research projects at the Gardens in the 2017 Science Year in Review. 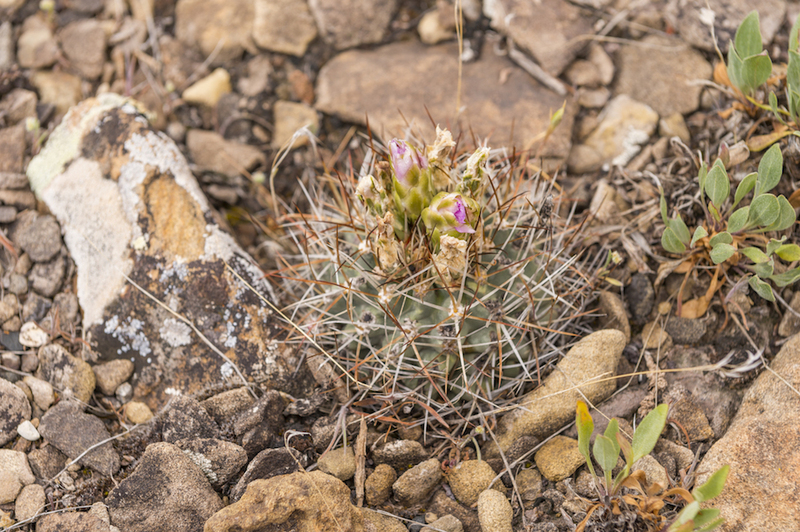 Sclerocactus glaucus, endemic to western Colorado, is federally listed as threatened, under pressure from energy extraction, other human development and, occasionally, cactus poachers. By counting plants and characterizing their life history traits in the same locations annually, we can learn about the basic biology of this species and how it responds to long-term environmental variation. Each year, we locate every Sclerocactus glaucus plant within the same defined plots and measure each plant’s height and diameter with calipers, recording any signs of flowering or damage from herbivores. With this information, we can answer questions like: How fast do individual cacti grow? Which bloom? How many new young plants do we see? This dataset also allows us to monitor the health of these populations, tracking local year-to-year growth and decline. Our results are critically useful to our collaborators at the Bureau of Land Management and the US Fish and Wildlife Service. On the whole, the 2017 count totals show that our Sclerocactus glaucus populations are doing pretty well. 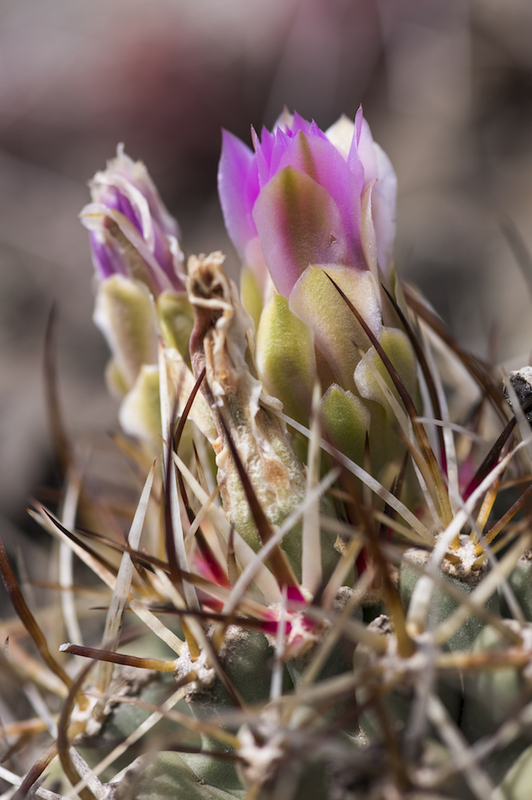 There was a slight increase from 2016 numbers, with generally stable populations in recent years, and there are far more cacti than in 2008 when the study was initiated. 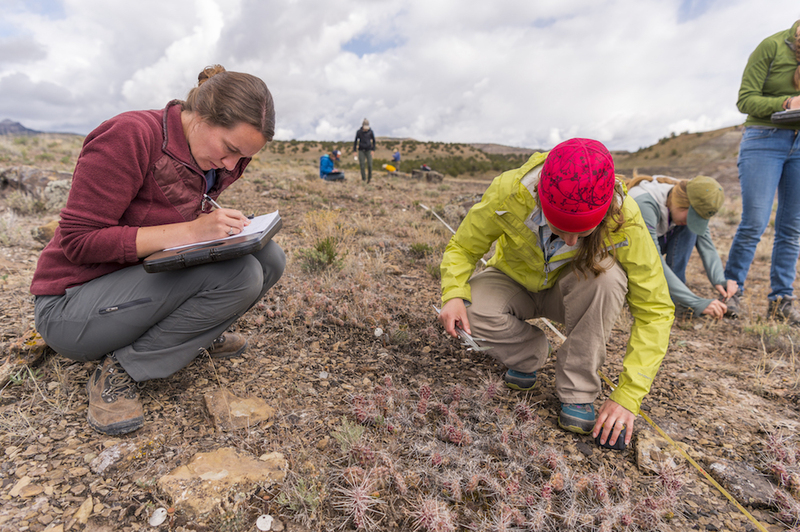 In total, our team of 11 people counted and measured more than 1,000 individual cacti at 10 locations last year. In the moment of performing most research tasks (like recording a cactus diameter), it’s easy to lose sight of the larger purpose. Fieldwork is great fun, but it is also deeply satisfying to look back on the results of our work in context. This blog post was written by Jessie Berta-Thompson, Ph.D., adjunct researcher with the Research & Conservation Department at Denver Botanic Gardens. ‹ Previous Article: Thinking inside the box...of water!